Built specifically for food & service industry, our system is aesthetically designed. No training is required, start taking orders with just a few taps and orders will be sent to kitchen right away. Download the application and start trying out the functions today! Built specifically for food & service industry, our system is aesthetically designed, no training is required, start taking orders with just a few taps and orders will be sent to kitchen right away. As an optional module, MobiPOS CloudSync gives you the ability to access detailed reports online. With continuous development, we be sure to grow together with your business needs. Equip your servers with mobile terminal, enable them to take order efficiently. Choose from the list of partners we work with, accept different kind of cards including contactless payment like Apple Pay. Using a secondary iOS device, deliver product price and information to your customer. Obtain customer signature without the need of turning your POS to face customers. Eliminate paper printing, use your iPad to serve as a kitchen display. View open orders by table or time ordered. Upon completion, notify expedite screen. Customise multiple table layout according to your restaurant. Table timers enables staff to turn table more efficiently. Manage customer's email, birthday and address. Track their spending and assign different tier of membership discount. Split bill by item, percentage or number or pax easily. System automatically bring up the previous bill, saving you the hassle to restart the split process again. Inventory module allows you to control and track inventory in decimal quantity. For each product sold, system deduct inventory according to recipe provided. Track employees clock in and out timing. Pay them according to the hours worked. Reward your customer with perks to keep them coming back. "I have searched a year for a system I could afford and be able to program. This is it. Best POS on the market. No I don't work for them, I own a winery and restaurant, and one program does it all. Set up with 3 iPads and 4 printers. Great tech support answers questions very fast"
"I have installed this system in 5 of my restaurants and all working fine, the support from developer is outstanding, can not recommend enough." "I run a restaurant that makes around 80k per month. I have 3 ordering terminals, 7 iphones for tableside orders and one kitchen display. This system has worked wonderfully for me. 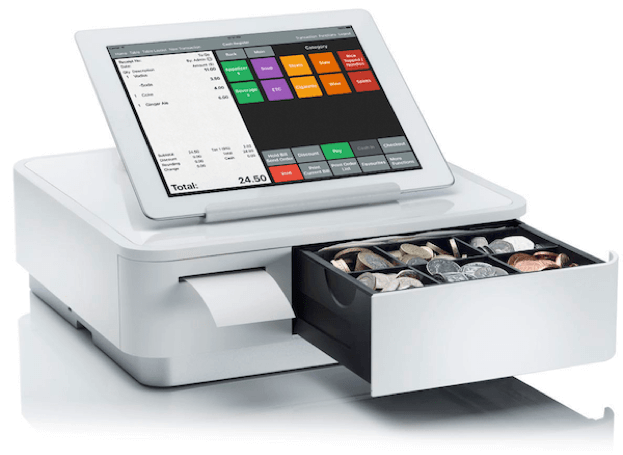 I have tried most cloud based pos systems and mobi is by far the best one." Like our facebook page and receive the latest update!